Toledo, Belize - Have you ever dreamed of quitting your high stress job, disconnecting from the corporate world and running your own little bed and breakfast in the tranquil jungles of Belize? You'll never have to set foot again in a dark office cubicle, or fight the morning traffic on your way to the office. You'll never need to don that power tie or business suit or get home late from a delayed flight that was keeping you from kissing your kids goodnight. Many of us have had the dream....you can make that dream a reality. 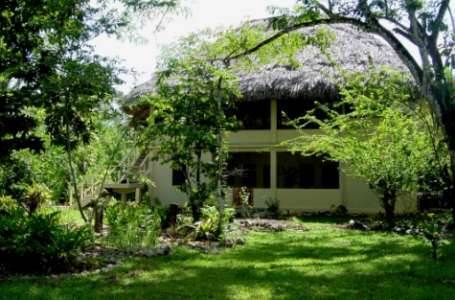 Tranquilty Lodge is being offered on the market to individuals, couples or families who would like the opportunity to slow down and enjoy life, while living in Nature's Best Kept Secret - Belize. This is the perfect opportunity to invest in a lifestyle that is as laid back and enjoyable as it is exciting. Host guest from around the world who are looking for a unique jungle get-a-way. Be the place for the local and international wildlife groups to meet and explore. Be the place for childrens summer camps and missionary groups. Live your dream and enjoy helping others to do the same. Tranquility Lodge is being offered at a ridiculously low price of $539,000 U.S. At this price we fully expect it to move quickly. Someone will be living the dream.....will it be you?